Take to the skies... for less! Best answer: Piloting drones is an expensive hobby from the outset, and you're going to end up spending more money in the long run if you cheap out on components when you're just starting out. We'd recommend practicing with an RC simulator first, and then starting out with an affordable FPV drone kit for beginners. Drones are easily among the coolest tech industries to emerge in the early half of the 21st century. While radio-controlled planes and copters have been a popular hobby for decades, the advent of the affordable consumer-grade quadcopter has led to an explosion in popularity, with drones being used for both professional and amateur film and photography projects, search and rescue missions, or simply as an excuse to get outside have some fun. But anyone who's invested in a drone kit will tell you that it's an expensive hobby from the outset that only gets more expensive along the way with replacement parts and enticing upgrade opportunities. It's the same deal with most hobbies, except of course for the added risk involved with crashes or your drone losing controller connection and flying off into the sunset. Speaking from personal experience, the first drones you buy are going to take some abuse as you learn the ropes of controlling your drone. As you learn how to control yaw, pitch, and roll, you're bound to encounter some 'piloting error' that might lead to a hard landing or, in a worse case scenario, crashing into a tree or some other obstacle. RC simulators allow you to get in your flight hours and hone your piloting skills in a risk-free environment. Legally speaking, you're also going to need to be aware of any no-fly zones in your area as well as the local laws regarding drone registration, and you're best off finding an abandoned space free of trees, power lines, vehicles and roadways, and anything else that might cause issues. It's a lot of responsibility and can be very restrictive if you simply don't have access to a safe space to practice — that's part of the reason why RC simulator software is a great first investment for a novice drone pilot. Simulator software allows you to get in your flight hours and hone your piloting skills in a risk-free environment. 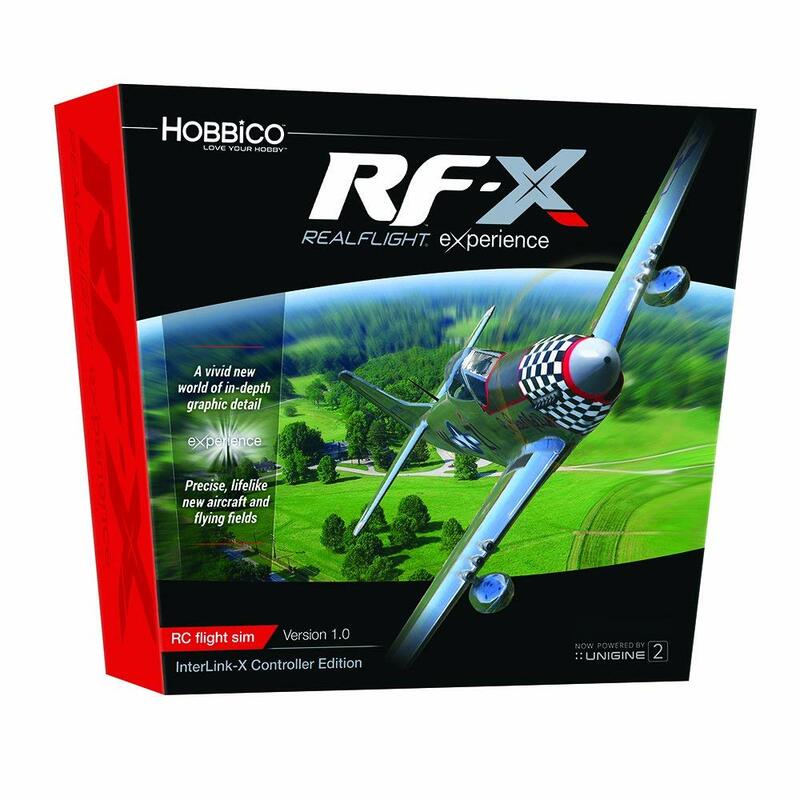 We've recommended a PC program (sorry Mac users) called RealFlight X, which is a radio-controlled flight simulator that lets you test fly over 100 different model aircraft including a couple different styles of quadcopter to choose. From there, you're given millions of acres of virtual space to test fly in, including racing courses for testing your FPV prowess. Most importantly, the software comes with a physical controller that mimics the real RC transmitters with dedicated control of all the different drone functions. RealFlight X is the latest version and demands a PC with some really good specs — 30GB of hard drive space, 32GB of RAM, and a Nvidia GTX 1060, Radeon RX 480 or equivalent video card — for optimal performance. Anything less will likely lead to some frustrating frame rates, so if you don't already own a premium gaming PC, you might be more inclined to buy RealFlight 8 for the same price, offering virtually the same training experience with the same controller but without demanding so much from your PC's specs. Consumer drones from makers such as DJI are typically what we'd recommend because they include a ton of valuable safety features that help to avoid collisions and keep your drone safe. DJI also offers its own kits for FPV flight along with great customer support for their products. The downside is the pricing — you can get a DJI Mavic Air FPV kit that includes the DJI Mavic Air and DJI FPV Goggles for a whopping $1328. That's a steep investment for the average person, especially if you've never bought a drone before. There's no denying that a DJI drone is a product and a worthwhile investment if you want something that's been designed to be easy to set up and use, but dropping a cool G on a hobby isn't going to be realistic for everyone. That's why we'd recommend checking out something like the Hubsan X4 Storm Professional Version which offers a much more affordable entry point for FPV drone flight. 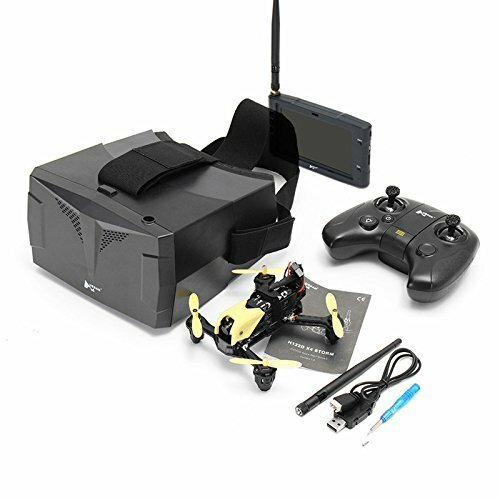 This palm-sized drone is built around a 720P HD camera and transmitter and includes a rather basic controller and a chunky-yet-functional headset and LCD monitor that allows you to fly from your drone's perspective. It's still very much in the "toy drone" category when it comes to its appearance but it will give you a good sense of what real-life FPV flying is like and has mostly positive user reviews on Amazon. The Hubsan X4 Storm should do a fine job at delivering an FPV drone piloting experience for beginners without the financial burden of purchasing a professional kit. The best and safest place to learn how to fly a drone is in a digital space. RealFlight X is one of the best RC simulators, with RealFlight 8 a better option for those with a mid-range PC setup. 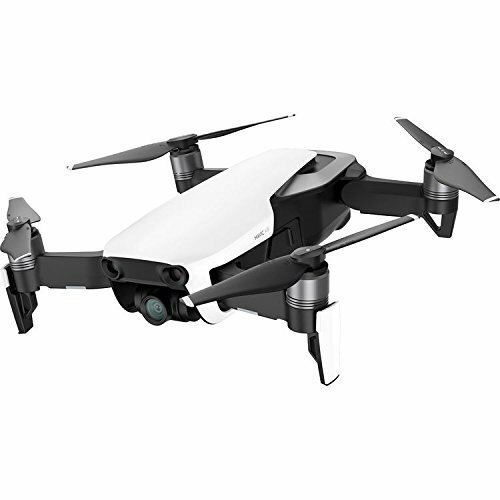 For those looking to invest in a full-featured drone with all the FPV fixings, the DJI Mavic Air FPV bundle is a great option.